We reviewed the Ed Dupas album “A Good American Life” in August 2015 and Allan was extremely impressed, picking out “Flag” as one of his top five songs of the year. Our good friends at Gpromo asked Ed to contribute to the High Fives feature and he pulled out all the stops with this insight into his most listened-to albums. Many thanks to Ed for this great piece and a wonderful album. It was the mid-to-late seventies and we had a Curtis-Mathes television with a turntable and two speakers that flanked the screen on either side, all built into a (sort of) fancy wooden cabinet. It was a simpler time for me and, I suppose, pretty much everyone living back then. I’d slide the large wooden living room door closed whenever I had the chance and listen to records hour after hour. “An Evening with John Denver” was my first album of choice; my first favorite. It was the album I reached for again and again at the tender age of seven. The album faced stiff competition as my parents had pretty good tastes in music. Don McLean’s “American Pie” and Simon and Garfunkel’s “Concert in Central Park” were just a couple of the others in our collection, and they exerted a strong gravitational pull. 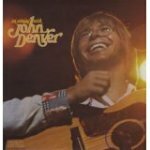 Although I loved those records, “An Evening with John Denver” captured my imagination in a different way. My favorite song was “The Eagle and the Hawk” and I would listen to it over and over again. I still have the album on vinyl…man, John Denver was in his prime when the record was recorded. I’ve always considered this album to be the zenith of his career. I bought this album on cassette as a teen, it was such a random purchase, so careless really. I couldn’t have known then--they had me before I even saw them coming--one minute I was a normal teen and the next I was a Rush fan. Alright, I suppose that’s not quite honest…normal teens don’t become Rush fans. Suffice to say, one minute I was something other than a normal teen and the next I was a Rush fan. I’m not hyper-crazy or anything, sure I can probably recite most lyrics pre-1992 by heart, but I’ve only seen the band play live nine times, which in the Rush-world makes me a seasoned fan. Those Canadians, there’s gotta be something in the water, or maybe it’s something not in the water…? 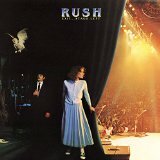 “Exit Stage Left” was my first and has remained my favorite Rush record. My top track is “Red Barchetta”…but you gotta let it play through to the end of “YYZ”, that’s the trick. When I honestly consider the five records I’ve listened to over and over again--and still listen to—“Bring On the Night” has to be on the list. And why not? Branford Marsalis, Omar Hakim, and on and on, the band is grand down to the man (or woman). It was a double-cassette album, somewhat rare in that respect…and I wore those tapes out. 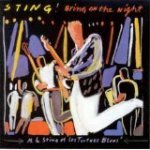 Bring On the Night” is a hypnotic collection of jams disguised as songs. When you listen closely to the record it’s almost as if the band is breathing, their energy ebbing and flowing. I remember one particularly tragic night in college when I was beyond sleep, I just lay awake all night with “Bring On the Night” record repeating. Thankfully I’d upgraded to CD format by then. 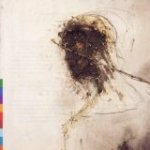 “I Burn for You” is my favorite song on the record, to me it’s a great example of what can happen when a group of individual musicians gel and temporarily evolve into one, albeit short-lived, entity. Originally recorded as the soundtrack for Martin Scorsese’s “The Last Temptation of Christ”, I’ve gotten more mileage out of “Passion” than any other album. In college it would play over and over again as I was writing papers or reading those God-awful tomes they call textbooks. Sometimes I would be lost in thought for hours with “Passion” dutifully playing in the background, never demanding too much attention, but when I’d stop to listen there was always something amazing to hear. I love that aspect of this record. I don’t, however, recommend it for sleeping. I worked full-time at a cafe in college (a barista in the grunge era, no lie) and I’d let “Passion” play as the house music from time to time. It consistently got more interest than anything else. It’s a righteous record, a seeker’s record, and it’s my “going deep” album to this very day. It is my goto soundtrack when I want to power up the world-wide-web and crawl down some esoteric or scientific wormhole (and seriously…that does happen a great deal…if I wasn’t writing this right now that’s totally what I’d be doing). I set the album to repeat, press play, and let it flow together as an unbroken circle. My favorite track is number 7, “A Different Drum”. A predictable choice, but unavoidable, really. Alright, so this is a new record and, admittedly, it’s not one I’ve listened to for decades, but it’s a classic record; it was the day it was made, the world just didn’t know it yet. It’s a record that I will listen to for decades to come, so it rounds out the top 5 nicely. 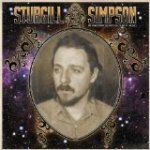 Something tells me this record was a hard-fought accomplishment for Sturgill. It’s a striking concept album (with love being the concept). “Metamodern…” is a work of shared introspection in which an honest guy--a self-described ‘van driver who plays music’--gets into some seriously weighty areas of science, evolution and mysticism. With references to Stephen Hawking’s “A Brief History of Time”, Pierre Teilhard de Chardin’s “The Phenomenon of Man”, and numerous esoteric traditions, Sturgill shows himself to be an interestingly learned man (and it’s not the kind of stuff they teach in school). You can’t just write an album like “Metamodern…”, you have to live it, become it. As the record states, ‘you have to let go so the soul may fall’. “Metamodern…” is a masterpiece recorded on a $4000 working budget. In the music industry that’s not a shoestring budget, that’s a fraction of a shoestring budget. There are some of us out here that need to believe that kind of thing is possible…that a true artist, motivated by inspiration and his or her desire to share their unique gifts with the world can find a way to do that, despite all the obstacles. If this sort of thing appeals to you like it does me I highly recommend “Metamodern Sounds in Country Music”. Nashville has consistently ignored Sturgill, but the people love him. 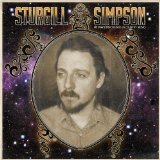 I’m OK with that, and I’d guess that Sturgill is too. I don’t think he had Nashville in mind when he made this record. And the people love it…it’s an interesting time to be alive.